In this age of hyperbole, wunderkind is an overused word. Yet, there is no denying that the musical world is full of them. If anyone qualifies for that elite group, pianist Lang Lang certainly does. 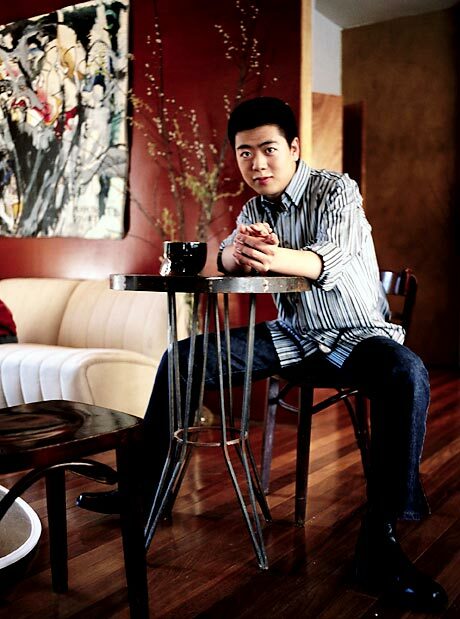 Born in 1982 in Shenyang, China, Lang Lang was a serious piano student at three, won first prize in a local competition and made his 'professional' debut at five, entered the prestigious Beijing Central Music Conservatory at nine, and won first prizes in young pianist competitions in Germany and Japan when he was all of fifteen. He graduated from the Curtis Institute in Philadelphia, where he studied under Gary Graffman. His career breakthrough came in 1999, when he replaced an ailing André Watts at the Ravinia Festival. Critics and the public were falling over themselves with words of praise: 'stunning", "brilliant", "this is a talent in a million". Since then, his career trajectory has been nothing short of meteoric. Now an exclusive Deutsche Grammophon artist, his debut recording of Tchaikovsky and Mendelssohn piano concerti has garnered much media attention. His Carnegie Hall recital debut last November was taped by DG for issue in March. The concert itself drew polarized opinions: some found him too flamboyant and eccentric for his own good, while others, arguably the majority in attendance, were dazzled and couldn't get enough. One thing is certain – his is a prodigious talent. Behind that sweetly innocent face and archetypal politeness is a young man of strong ambition and steely determination, backed by stupendous talent and discipline. He also possesses a strong sense of self and an appreciation for excellence found only in those earmarked for greatness. Much has been written about how his parents, Guo-ren Lang and Xiulan Zhou, made sacrifices to nurture the artistic development of their only child, born during China's 'one child policy'. Before Lang Lang had his second birthday, his parents had spent half their yearly income – $300 U.S. – to purchase a piano. Strong discipline is part of growing up in many Chinese families, and Lang Lang recalled in a previous interview that he came from a stereotypical family, with a strict father and a kind mother. Guo-ren Lang quit his job and moved with his son to Beijing, twelve hours from their family home in Shenyang. His parents lived apart so he could attend the conservatory in Beijing. It was only when Lang Lang bought a house in downtown Philadelphia, after he became a star, that the family was reunited. 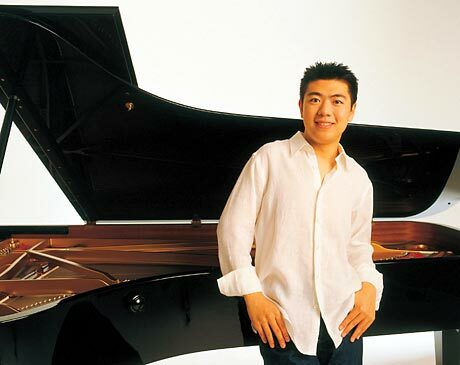 Only twenty-one, Lang Lang enjoys the high profile and media attention rarely accorded a classical artist, appearing on Good Morning America and the Tonight Show with Jay Leno. He was named one of the "Top 20 Teens Who Will Change the World" in People magazine two years ago. His performing schedule is not for the faint of heart – 2003 alone saw him play one hundred fifty concerts that took him to three continents. LSM caught up with him last Halloween, as he was spending a rare two days at home just before his recital at Pollack Hall in Montreal. He came across as well spoken and personable, full of energy and enthusiasm, his fluent but accented English peppered with the typical lingo of youth. LSM: Who do you admire as a pianist? LL : Vladimir Horowitz and Artur Rubenstein. They are totally different artists but both are great. LSM: I heard you have acquired a Steinway from Horowitz. Is that true? LSM: Is that other piano also a Steinway? LL : Absolutely. I think Steinway is best. There is no way to beat Steinway! LSM: What sound do you look for in a piano? LL : A flexible sound. I like to make many colours in a piano. I like a big sound (in a piano) that can hold a lot of power, with a beautiful legato tone that is like singing. The piano should not sound like a percussion instrument. Basically a good piano is like a good player – it should produce a complete picture. Good in the big stuff but also in the delicate, small stuff. A good piano can make a huge contrast. LSM: Do you have musical idols? LL : That's very hard... I admire sports athletes. I love Michael Jordan, Tiger Woods. I love the big sports guys. The great athletes – they look like artists when they play. They are creating art. The top player in each field is an artist. LSM: Are there Chinese athletes you admire? LL : Yes, I like the ping-pong players, the Olympic gold medallists (laughs)! They are the best in their field. LSM: What about Chinese musicians? LL : I love Tan Dun and Yo-Yo Ma. I am playing a solo piece by Tan Dun in a world premiere. LSM: Do you see yourself as having a role in promoting Chinese music in the west? LL : Absolutely! Since I am Chinese, I like to do that. That's why I play Tan Dun's music. In 2005, we are doing a world premiere of his piano concerto with the New York Philharmonic, conducted by Lorin Maazel. LSM: What recording plans do you have? LL : My Carnegie Hall recital on November 7 will be issued on CD, DVD, and video documentary. It will have a Haydn sonata, Schumann's Abegg Variation, Schubert's Wanderer-Fantasie – basically German-Austrian repertoire in the first half. In the second half I have Tan Dun's Eight Memories in Watercolor – a world premiere. I will play a traditional Chinese piece, Competing Horses, with my father on erhu. Also a Chopin nocturne and Liszt's Don Giovanni transcriptions – the most difficult piece in piano repertoire. It will be the biggest thing I have done so far. LL : He is a very good student. When you have someone like that, it's much easier to teach. You also get something from the student. Each student is different and you can't teach the same way – it's not going to work. It depends on personality. Some people are outgoing while others are much more inside. It's also important for me, to know what the next generation is like. LSM: How often do you give masterclasses? LL : I don't call these masterclasses – I call them chat sessions. In a masterclass you just sit there and play and talk about the music. I like to do a chat session, to introduce the reason we are doing these things, the kind of enjoyment we can get from music...that music can help us have a better life. I think that's more important than just sitting and talking about the notes. We need to open their minds beyond imagination, to the connection between the real world and the world of classical music. I do a lot of chat sessions now – at least once every two weeks. I really enjoy it and I think people get something from it. LSM: Why do you think there are so many good Asian musicians? LL : They are talented first of all; they work hard and have discipline. They want to do something good. Before there weren't so many Asians studying classical music. Now it's more popular in Asia than in America. LSM: Is classical music popular in China? LL : Very popular! It's unbelievable. Everywhere I go, the audience is so young. Afterwards at the signings or when I walk in the streets, they respond like I am a pop or movie star – it's really cool! Asian people are very musical. Western people think Asians are cold; they think we are very reserved. It's totally wrong! Actually we are very emotional. LSM: Sometimes people say Asian musicians copy others and that they are not very original. What do you think? LL : Maybe. I know lots of Asians who start by practicing a lot, listening to CDs, and try to make sounds from the records. (They have) no personality. That's why critics say that. Some pianists like to copy – I don't think it is right. I never copy anyone: I believe in myself. If you copy someone, you think they are right and you are wrong–but maybe they are wrong. It's like doing a test and copying wrong answers from the next table. Musically you need to find your own way. If you see a great performance and you love it, it gives you energy. That's great. But you cannot do exactly what this other guy is doing. You have your own thoughts and your own understanding. LSM: On the subject of Chinese musicians – have you ever heard pianist Fou T'song? LL : I admire him a lot, but I have never heard him play live or even on recordings, I am sorry to say. But I met him several times. LSM: What do you think of Yundi Li's playing? LL : I never heard him perform live. I am very happy for him. His career is not big yet. I hope he will have a big career. We met once in Germany – he came to my recital, and we had a nice talk. If I don't see (someone) live, I cannot make any comment. I think it is still very rare to become famous. The world has so many pianists. I am very fortunate. LSM: What advice would you give to a piano student? LL : Just love what you are doing, and try to play more. If you play the piano, you have to really love to play, not just have a job. My advice is to study all the time, to develop repertoire, and to really love music. Just enjoy it! LSM: What do you do to relax? LL : I watch movies; I play ping-pong. I love to watch TV, hanging out with my friends. LSM: How many hours do you practice a day? LL : Now it's two hours – before it was a lot! LL: Yes, it's quite unbelievable! But when you have opening night at the Proms, at Ravinia with the Chicago Symphony, closing night with the Berlin Philharmonic, you need to take it! (laughs). It's a lot, but there are so many pianists who would like to have this career; they are hungry for it. I have this chance, so I need to be better.